Our active and successful student societies form an integral part of our community; providing an avenue for students to interact with one another, supplement their studies, engage with alumni and industrial contacts and volunteer in the local community. Are you a current or prospective student? Then join your student society today. If you have started a new society, have changed the details of a society or we have missed one, then please let us know. A graduate or recruiter? We would be very happy to help you get involved. 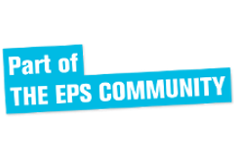 Please email us at eps-community@contacts.bham.ac.uk. As a member of one of our 34 student groups you are eligible for the EPS Societies' Awards. Each year we celebrate the outstanding work of all our societies with a fantastic gala evening as a thank you for all that you do.